The phrase “keep it simple” regains its true meaning with the re-introduction of one item that serves a multitude of purposes. 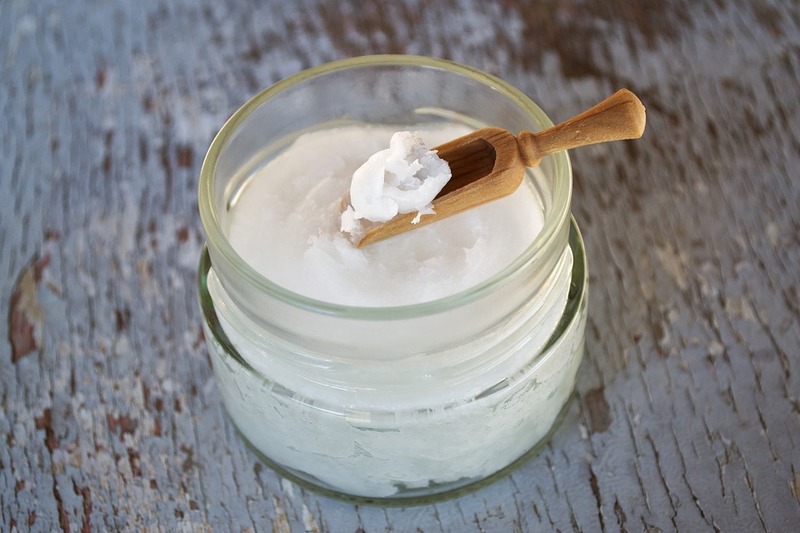 Coconut oil has healing properties for both internal and external healing. It can make you feel beautiful on the outside, while also leaving your insides happy and healthy! With antibacterial, and cleansing properties, coconut oil makes for the perfect all-in-one product line of skin and hair care. It is rich in fatty acids, which makes it an excellent moisturizer for all skin types. It protects the skin’s natural oils, while gently removing dirt, sweat, and excess oils. Coconut oil is exactly what it’s name implies: coconut oil. It is not contaminated or filled with harsh chemicals, it is gentle, moisturizing, delicious smelling, and can be used for a plethora of outer beauty blemishes, ailments, or preventative measures. Not only does coconut oil make an excellent face cleanser/moisturizer/acne blocker/natural skin glow inducer, it also makes for a satisfying body scrub for flakey, rough skin with just a small addition of sea salt or brown sugar. Shaving can be a hassle, but with coconut oil on board, it not only will smooth hair follicles for a closer shave, it will help with razor burn and provide a moisturized, healthy glow! Cuts, or scrapes? Because of coconut oil’s antiseptic and antibacterial properties, it may help to protect and heal wounds. Additionally, it may speed up the healing process by increasing cellular turnover and stimulating collagen, while also reducing the chances of scarring. For frizzy, dry, or dandruff filled hair, a small amount of coconut oil rubbed into the scalp or ends of the hair will help moisturize and strengthen hair to give it a natural, healthy shine. If you’re already satisfied with your current hair care, or skin care regime, perhaps you’re in the market for a new insect repellant, mood lifter, makeup remover, or cold sore healer. Maybe your eczema is flaring up, or the dark spots on your elbows are getting darker. Coconut oil is nature’s gift to you. Depending on how it is used, what it is combined with, and how dedicated you are, coconut oil can be the remedy that you’ve been searching for. From simply moisturizing, to unfortunate warts to sudden skin breakouts and irritation, coconut oil has the power to help heal your outer appearance grievances. Using coconut oil alone, or in combination with different essential oils, can provide such an expansive list of remedies for whatever may be troubling you, that it may seem overwhelming. If you’re unsure of where to start, or what to combine, Annie’s Apothecary carries high quality coconut oil, in addition to our line of Young Living’s Essential Oils, and we would love to help figure out the right recipe for you! Come visit, or give us a call at 830-981-4774.